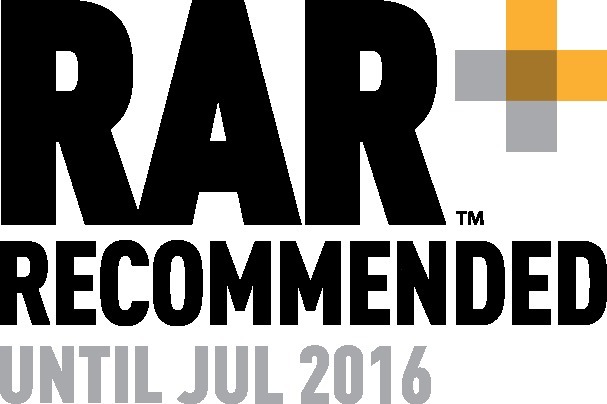 We are delighted and frankly a little bit proud of the fact that we have recently gained ‘recommended’ status by RAR, the Recommended Agencies Register. To be recommended you literally have to have been recommended by your customers for the work you do and there is no better validation than asking people you have been working with to tell an independent body what they think of you. Customers were asked to rate us against an number of areas where we help them and we achieved above 80% (and in most cases much higher) for SEO, Paid search & PPC, B2B Brand Strategy, B2C Brand Strategy, New Product Development and Web Design. In fact our overall score was around 90% against everything we do which on the face of it seems quite good. Of course we’re not happy with this; we’d love to get 100% so rather than sit on our laurels we have embarked on a programme of improvements internally including introducing new software and reporting, new process flows and streamlining our product offering to provide a more streamlined and clear service for customers. Now we have three simple package areas of ‘Grow’, ‘Sustain’ and ‘Recover’ so no matter where your website ranks in Google, we have a package that will fit. So a huge’ thank you’ to all our customers who took the time to rate us. We will of course repay your vote of confidence by redoubling our efforts and continually looking for improvements so we can help you rank better in search. The Recommended Agency Register (RAR) is a vital part of identifying and contacting SEO, web building, marketing and PR agencies that come recommended by their clients. It’s the only platform where clients vouch for their agencies by rating them on the services they deliver. You can find out more about RAR here.